Inclusive Service – Clean Slate Landscape & Property Management, LLC has been offering inclusive mowing services to customers since 2000. When individuals need their lawns mowed and yards maintained, Clean Slate Landscape & Property Management, LLC is the right business to call. Clean Slate Landscape & Property Management, LLC will tailor the mowing service to fit the customer’s needs and schedule. What does Clean Slate Landscape & Property Management, LLC provide to our mowing customers? Professional Staff – When Clean Slate Landscape & Property Management, LLC undertakes a mowing job with the customers, we send out professional staff members to the home. Clean Slate Landscape & Property Management, LLC landscapers are well-trained professionals who get the job done right the first time around. You want to have someone else mow your lawn but you don’t want just anybody to take the job. Our company is a professional lawn mowing company which means that you can trust us to do the job right while you take that time to tend to other important duties. Reasonable Prices – Keeping to a budget is important for many customers who obtain mowing services and this is easily achieved when choosing Clean Slate Landscape & Property Management, LLC to mow your lawn for you. 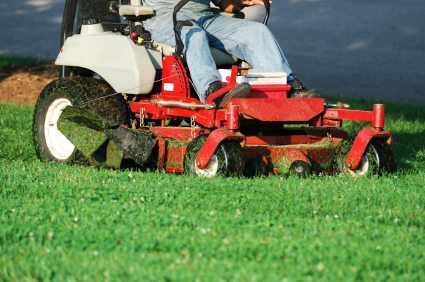 The price is right for mowing services and your budget can be adhered to when you obtain the services offered by Clean Slate Landscape & Property Management, LLC. Our company will mow your lawn, edge the perimeter perfectly and more…all at a reasonable price. Get your lawn looking its best and contact Clean Slate Landscape & Property Management, LLC at (508) 669-7959. We will offer you professional mowing services performed by a knowledgeable staff at an affordable price.